Warrior Life is rolling! 15 inner city kids and teens from Grove Park are now committed and training 2-3 times a week at Buckhead Jiu-Jitsu under black belts Samuel Joseph and Derek Kaivani. We are seeing some real progress not just in their Jiu-Jitsu and health, but in life too. Grades going up, more focus and more confidence, deeper relationships, and they just plain love it. A real team is forming and we are excited to see what will happen in 2017 with this youth development program. 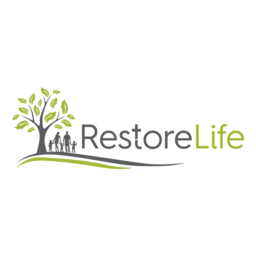 Since many of our kids/teens can't afford to pay $ for their own Gis, academy membership, and tournament fees, we give them various jobs serving the community through Restore Life (The Community Development Non-Profit Danny runs). We don't believe in handouts, just hand ups, and this gives each kid skin in the game and helps them not take this privilege for granted. By donating to this cause you are not only helping the underprivileged get top notch Jiu-Jitsu training, but also empowering them to serve their community, develop good work ethic, and earn every minute on the mat! If you want to help sponsor kids in this program or volunteer, here is how! We have an ongoing need to help cover membership fees so monthly recurring donations are GOLDEN! Even just $10/month adds up to help make this program possible. We need volunteers to help with the various tasks involved in pulling this program off: Transporting kids/teens to and from class, washing Gi, and helping train them during class. There are at least 4 new kids on the waiting list who want to join but I (Danny) don't have the car space or bandwidth to bring any more with me. Special thanks to Samuel Joseph who makes all this possible through his hospitality and generosity, and for all the Buckhead BJJ students who are so patient and supportive of this program. We are thankful for the way God is providing for these amazing kids to have an opportunity of a lifetime to be part of the greatest Jiu-Jitsu Family on the planet!